Dr. Bojkovska and her talented staff of dentists and technicians are committed to providing top-quality dental treatments. They have received intensive training both locally and abroad and provide all services in a luxurious, modern facility. 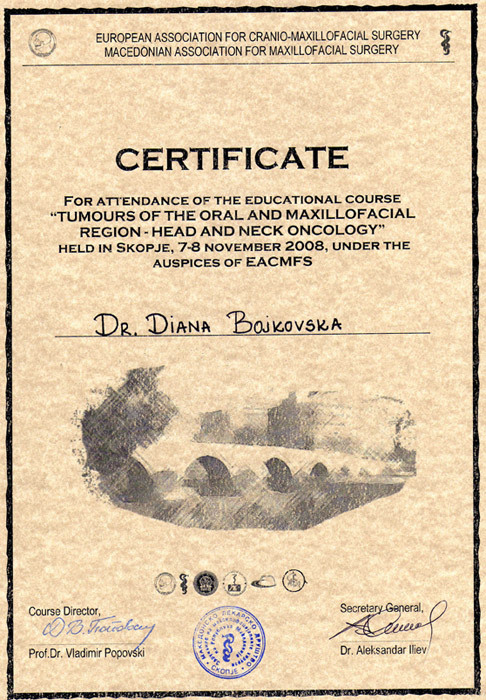 Dr. Diana Bojkovska is a highly skilled dentist who has been serving patient from Skopje, Macedonia and around the world for many years. 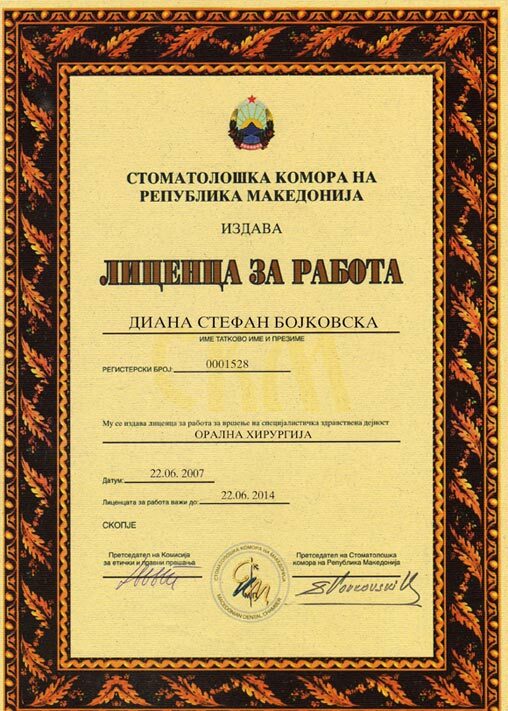 As the owner of Mediana Dental Clinic, a state-of-the-art dental clinic in Skopje, she provides a full spectrum of general and cosmetic dentistry services. 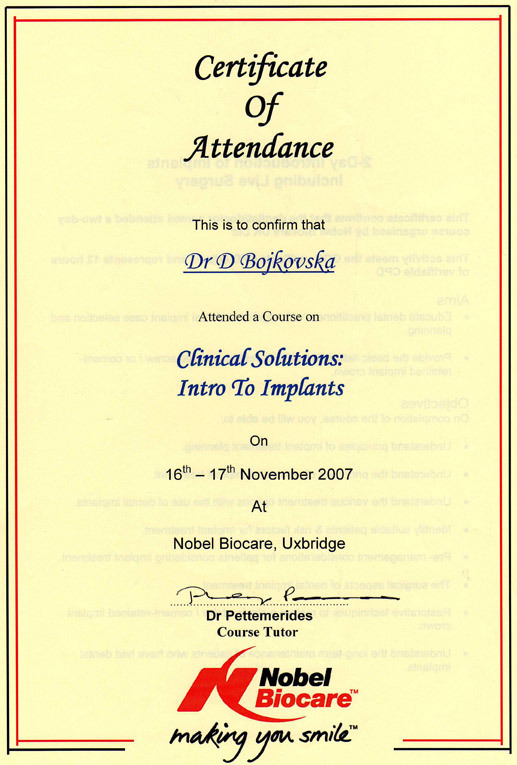 Dr. Bojkovska specializes in oral surgery and dental implants. 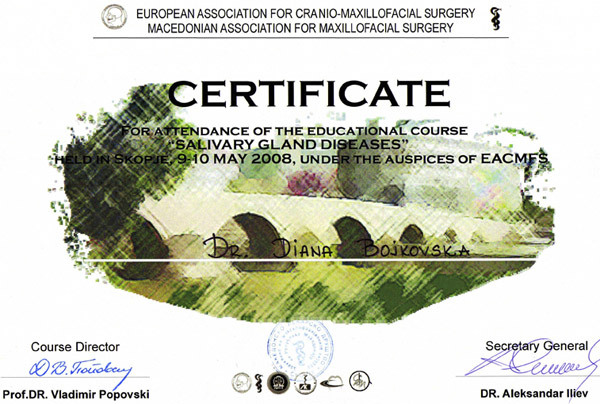 In addition to receiving her dental degree from the prestigious University of Dentistry – Skopje year 2001, she has undergone numerous continuing education courses in order to refine her expertise at performing dental implants surgery, surgical extractions, maxillary sinus elevation surgeries, dental laser surgery and other procedures. 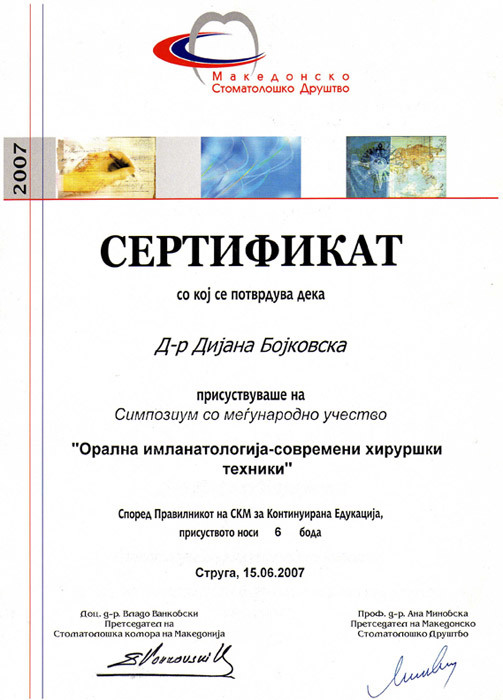 Dr. Bojkovska is a member of the Macedonian Dental Chamber, also a member of the Association of Private Practice Dentists of Macedonia Association of Oral Surgeons of Macedonia and the Association of Dentists of Italy. She has experience with immediate implant function using Nobel Replace Tapered Groovy in the aesthetic zone, both Ankylos, Dentsply implant system. 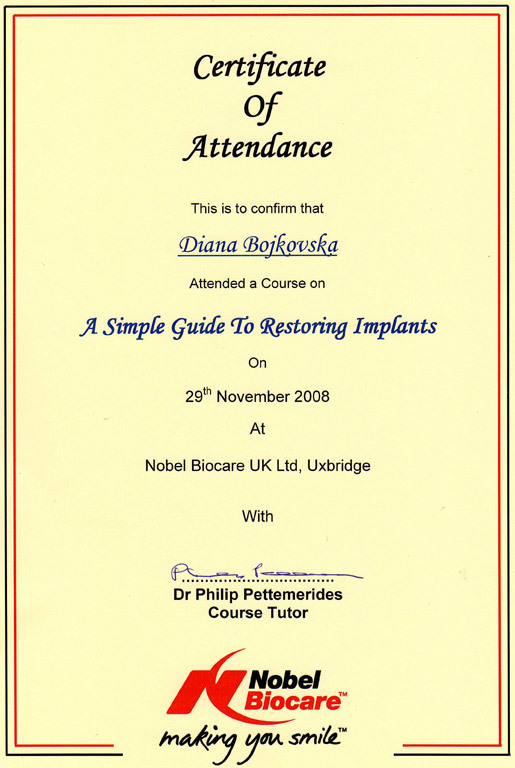 She has gained the Certificate in Surgical and Prosthetics Implant Dentistry from Nobel Biocare UK, Ltd, Uxebridge and the Certificate in Surgical procedures and Implant solutions with Ankylos implant system from Ankylos, Dentsply Friadent in Vienna, Austria.